Coffee and Donuts Free Planner Stickers! Today I am feeling the wrath of the time change. Waking up an hour earlier than I am use to is not fun. 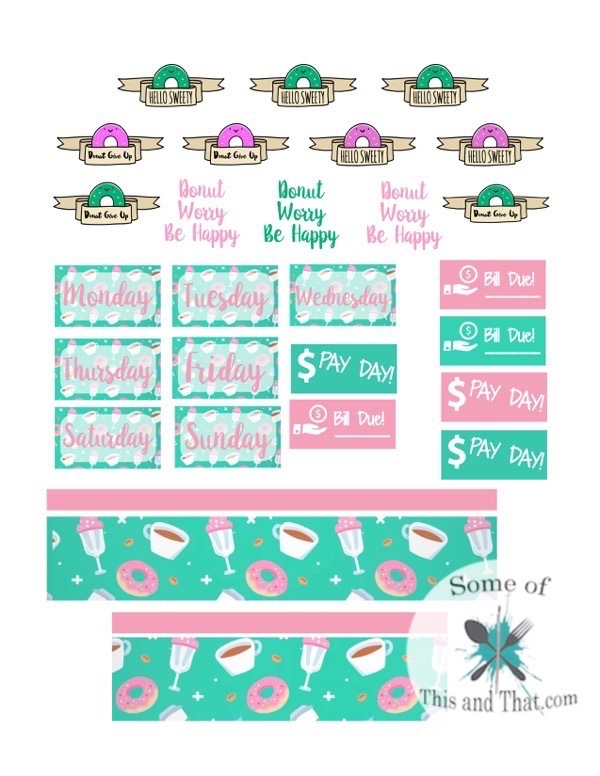 So, I decided to today I would share these fun Coffee and Donuts Free Planner Stickers! Maybe it is because I living off of coffee right now, but they make me smile. 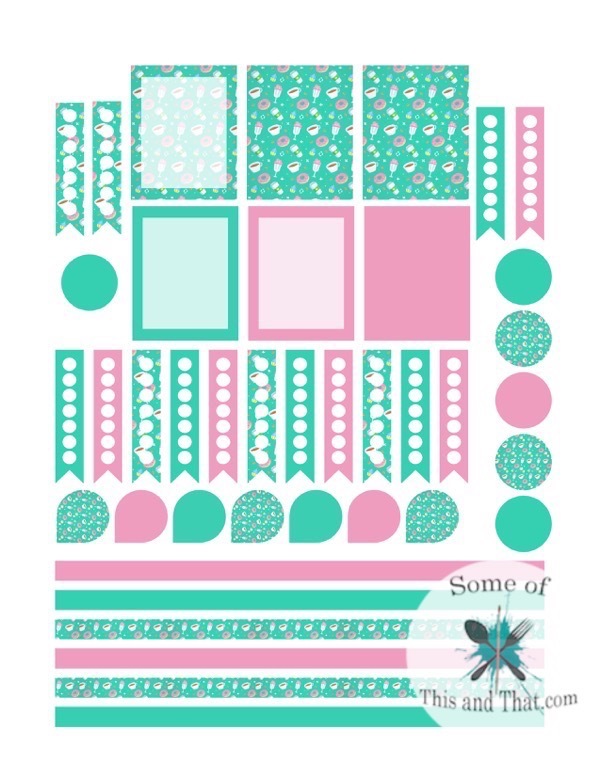 They feature a fun green and pink theme that is perfect for Spring. Maybe one day Spring will make an appearance here. We had 80 degree weather last week, then it decided to snow yesterday. I love the little donut banners. I am a sucker for a good pun. This set includes 4 pages that can be print onto 8.5×11 inch sticker paper. I use my Silhouette cutting machine to cut mine, but you can always use scissors. The files includes both a JPEG set as well as a Silhouette cut file set. That way if you do have a Silhouette you can just open it up and get to printing and cutting! 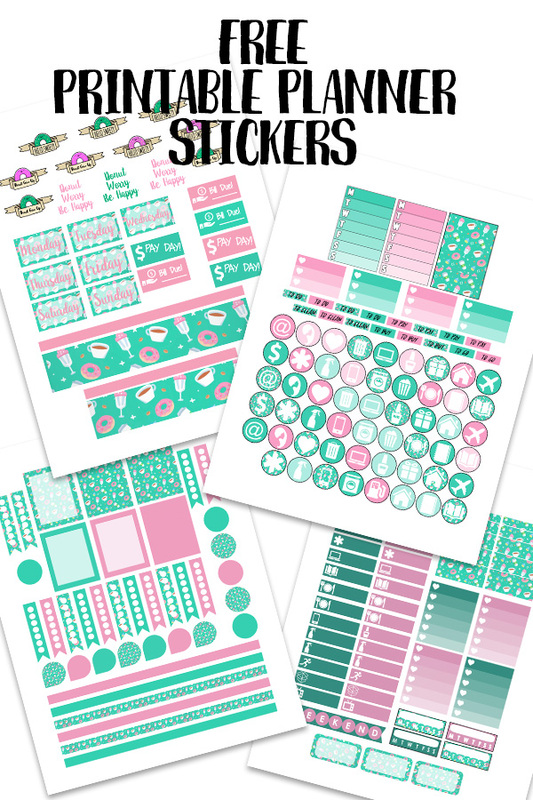 To grab these Coffee and Donuts Free Planner Stickers, just use the download button below! 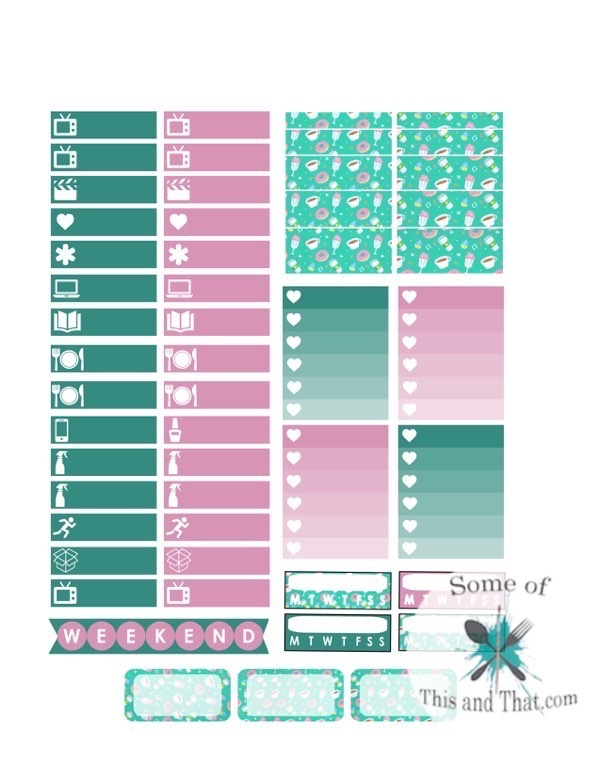 Love printables? Check out our new Etsy shop! I just listed a few fun and nerdy printables that are ready to go! 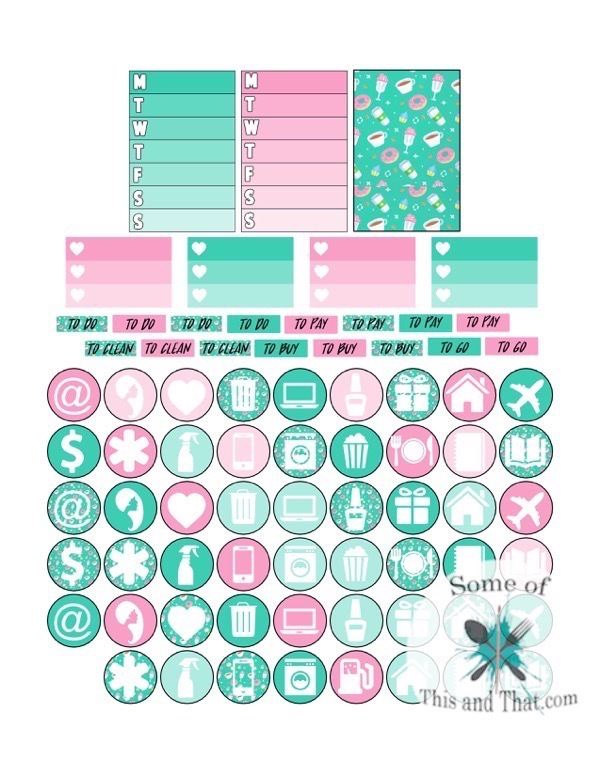 Also be sure to check out all of our other Free Planner Stickers! Previous Post: « DIY Star Wars crafts! DIY Death Star & DIY Han Solo Trapped in Carbonate!